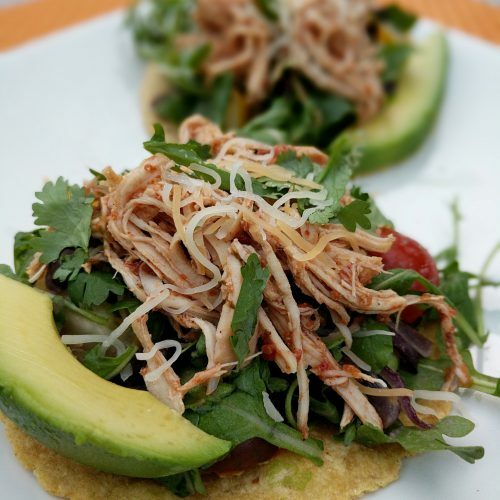 These Mexican tostadas are filled with fresh ingredients and can be made vegetarian or stacked with meat. 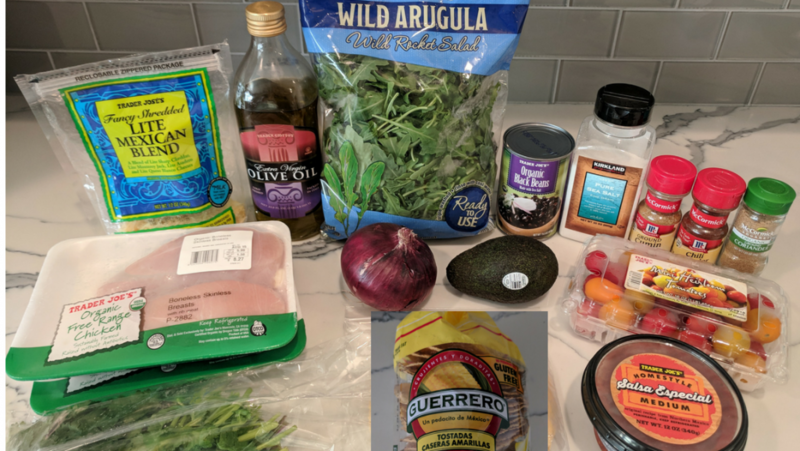 I made shredded chicken, but you can customize using your protein of choice! 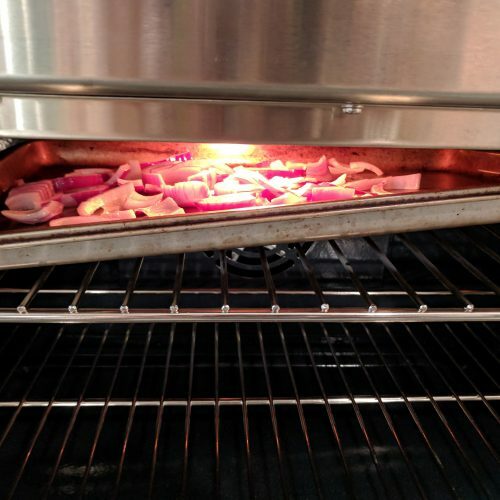 I used the broiler to cook and char the sliced onions however you can always cook the onions on the stove top in a saute pan. I just prefer the taste of the charred onions for this recipe. It gives it a nice rustic flavor! 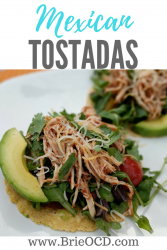 This recipe makes 8 tostadas with 3oz of meat per tostada. 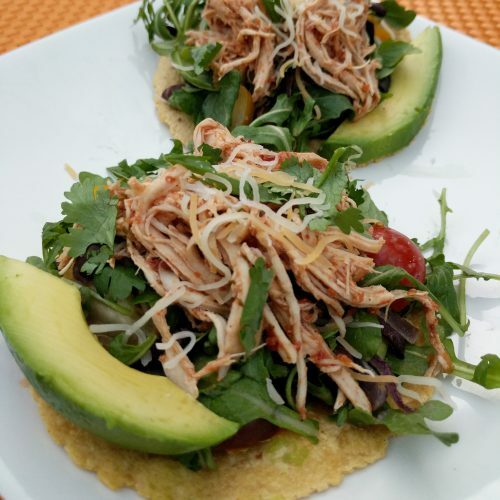 Each tostada has 298 calories, 26g carbs, 9.5g fat, 25g protein. In the recipe below I labeled it as 4 servings, which means you get 2 tostadas per serving. I stacked each vegetarian tostada with 3oz of meat but you can customize to your specific protein needs. With any recipe there are a plethora of topping options! For these mexican tostadas, I decided to top them with lite mexican shredded cheese, cilantro and avocado. You can also top them with lime wedges and Cholula, if you are looking for even more kick! 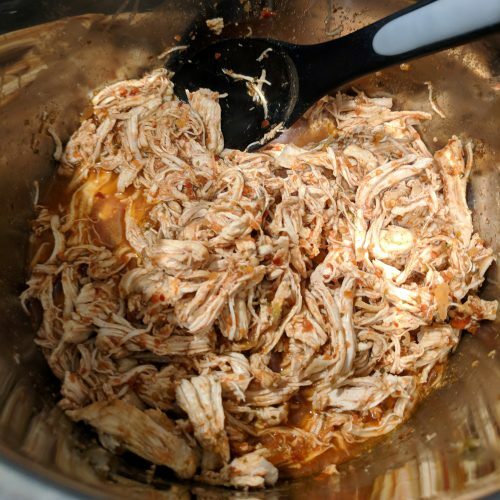 I used the Instant Pot to make the shredded chicken however you could always use the crock-pot. If you decide to use the crock-pot follow the same steps below except set the crock-pot on low for 8 hours OR high for 4 hours. I bought almost everything you see below at good ‘ol Trader Joe’s! The only thing I didn’t buy there were a couple of the spices and the tostada shells. I couldn’t find the hard shells there but you can always use the regular corn tortillas and either bake, broil or toast them! in a small mixing bowl, mix cumin, chili powder, coriander and 1/4 tsp salt. 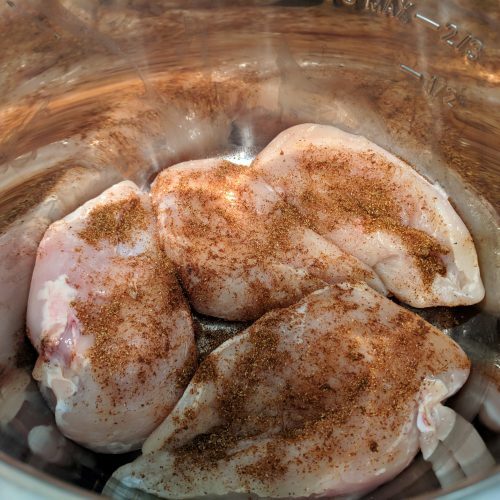 place chicken breasts in Instant Pot and season both sides with seasoning. turn on broiler and preheat a baking sheet for a couple minutes. while pan is heating, slice onions and toss with olive oil. carefully remove pan from broiler and place onions on tray. Cook for approximately 10 minutes, flipping halfway through. Keep checking on them to make sure you don't completely torch them. 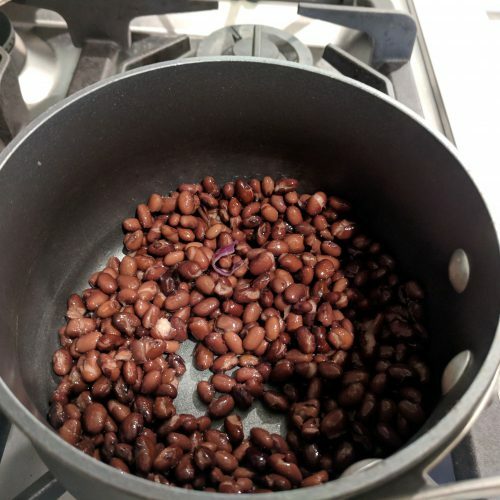 in a small pot, add black beans (make sure to drain and rinse first) and 1/8 tsp salt. stirring every 30 seconds or so, heat beans for about 5 minutes or until warm to the touch. 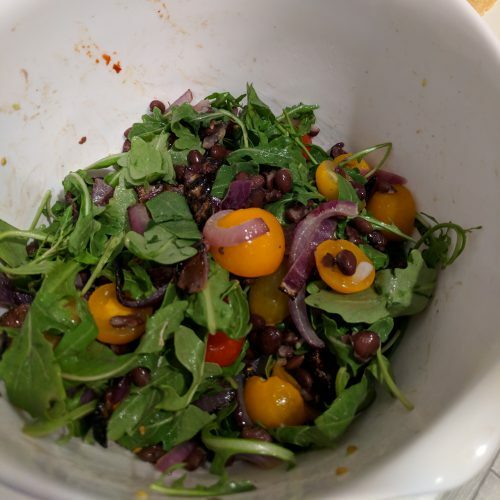 in a medium mixing bowl, combine arugula, tomatoes, onions, beans and remaining 1/8 tsp salt. stir. serve! 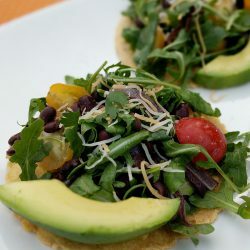 top each tostada shell with approximately 1/2 cup of veggie mixture, 3oz meat, slice of avocado and a pinch of shredded cheese and cilantro. Top with cholula and lime juice if would like!